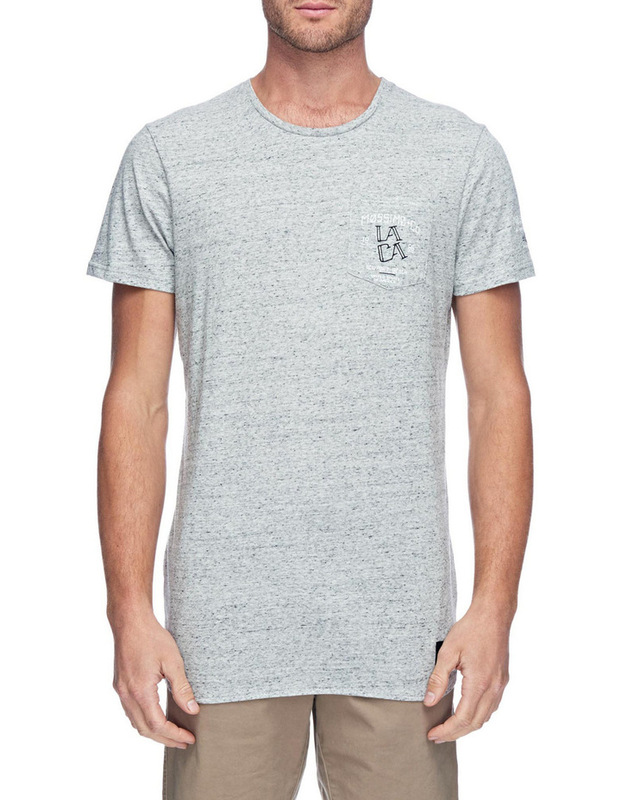 The LACA Original Scoop Hem Tee is constructed in 150gsm cotton jersey. 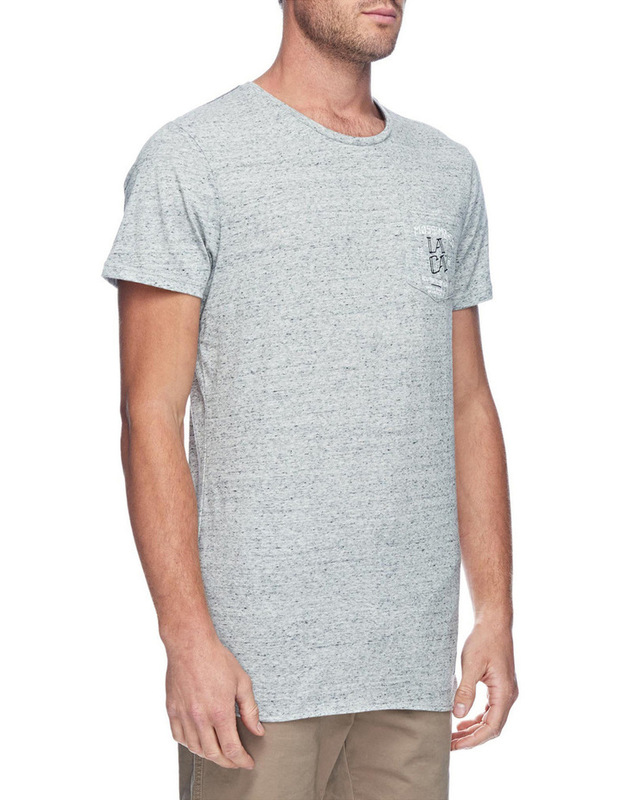 Great paired with the Matlock Cargo Short for an easy weekend outfit. 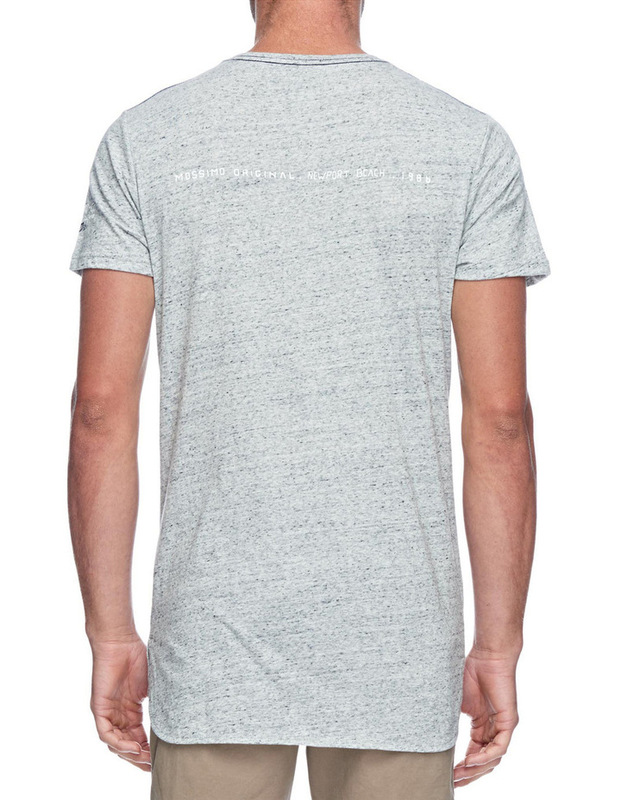 Features: Single chest pocket, unique two colour Mossimo print on the chest pocket and the left sleeve. Finished in a silicone garment wash for a soft hand feel. Care: Cold machine wash - 30 degrees.